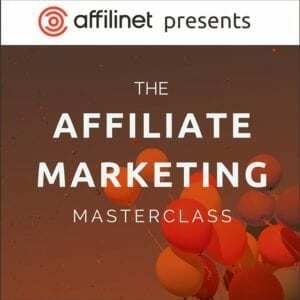 This BritMums Affiliate Marketing Masterclass is sponsored by affilinet. Affiliate marketing is a way that many blogger and social influencers highlight products and services to their readers, making money in the process. Our Affiliate Marketing Masterclass, presented with and sponsored by affilinet, tells you all about how affiliate marketing works and how affilinet can help you. Instalment 1 — What is affiliate marketing and how does it work? To find out more about what you can do with affiliate marketing and how to work with affilinet click here. If there is one thing we have learnt at affilinet through working with content providers and bloggers, it’s that brand association is of the upmost importance, and working with a brand that does not fit with the values of the writer or their audience won’t get a look in. This is how it should be, as the defining trait of bloggers is that their audience trusts them. In fact, our own Consumer Trust Index from 2015 proved just that, with bloggers coming in behind family and friends as the most trusted source of information for making purchasing decisions. Working with advertisers on your blog doesn’t need to dilute or devalue your message; in fact sometimes working with advertisers can help to enhance your readers’ experience. Many advertisers are now looking to build meaningful, lasting relationships with bloggers and content writers and are actively running blogger outreach programmes. Advertisers who are running these types of initiatives are the ones to look out for, as they will be tailoring their affiliate offerings to encompass the blogging community. By running competitions, giveaways and sending out sample products to review, these advertisers demonstrate that they are ready to work with you and listen. A great real-world example of this is the highly successful blogger outreach programme that affilinet and Debenhams have been running since April 2015. Affiliate links are at the heart of what we do. They tell us who you are and which advertiser and campaign you’re promoting (other information can be included); all this is done so we can make sure we pay everyone correctly. Below is an example of an affilinet tracking link, you will see this tracking link format in all of our advertiser’s banners and deep links. Often it will be surrounded by a lot of other code but you don’t need to worry about that. Just copy it all and paste it onto the relevant area of your site. Once you’ve added your affiliate integration, be it a banner or deep link, make sure you test them: Click on the link to make sure it goes through to the right page and then check your statistics in your affiliate account; keep an eye out for a screencast on this in a later article. When you work with affilinet, it should take no more than a few minutes for your test click to show. Look for the next instalment of the Affiliate Marketing Masterclass soon. Got questions? Let us know and we’ll get answers! To sign up to affilinet and start making money from your blog click here. I like that you can choose advertisers that work for your blogging brand, rather than just having ones foist upon you. Now I’m thinking about who I’d like to work with…. Personally I love the ability to choose which advertisers to link to as I’m able to monetise posts where I have mentioned the brands I like anyway, rather than having to do it the ‘other’ way round and crowbar in a mention for a brand I’m not familiar with. Getting more interested in this way of making money the more I read. Love that readers trust bloggers so much. Hi Kate, if you want any more information on how to make money blogging please get in touch with me at [email protected]. Isn’t it easier to just use something like skim links? if you were to link to them and they have an affiliate program, then boom. If you wouldn’t want to work with them otherwise you wouldn’t have a link pointing towards their website? Amazon is the over good one in my opinion. Hi Jack, when working with an advertiser through a network or agency you can gain access to a lot more content including creatives and product samples. For example one of our current advertisers Penhaligons is offering scent kits for review which is something publishers only have access by joining the advertisers programme direct. I think that a mixture of both is the right way forward as I’m not a fan of putting all my eggs in one basket.